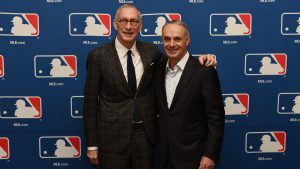 Major League Baseball and global sports streaming platform DAZN have agreed to a three-year live digital rights partnership in the United States, set to begin with the 2019 MLB regular season, it was announced by Baseball Commissioner Robert D. Manfred, Jr., and DAZN Group Executive Chairman John Skipper. The announcement was made after the 30 Major League Clubs approved the deal. The partnership will deliver a live show each weeknight, available to subscribers via DAZN’s digital sports streaming platform, that will feature live look-ins to the best MLB action as it’s happening. This show will seamlessly whip around live MLB games to showcase the most suspenseful moments, crucial plays, and biggest rallies. Additional details of the show, which will be coproduced by MLB and DAZN, will be announced in the coming months. There also will be on-demand MLB content and live weekend wrap shows available to DAZN subscribers. DAZN burst onto the scene in 2016, debuting in Germany, Austria, Switzerland, and Japan. Its early success across Europe and Asia spawned launches in Canada (2017), Italy and the U.S. (2018). 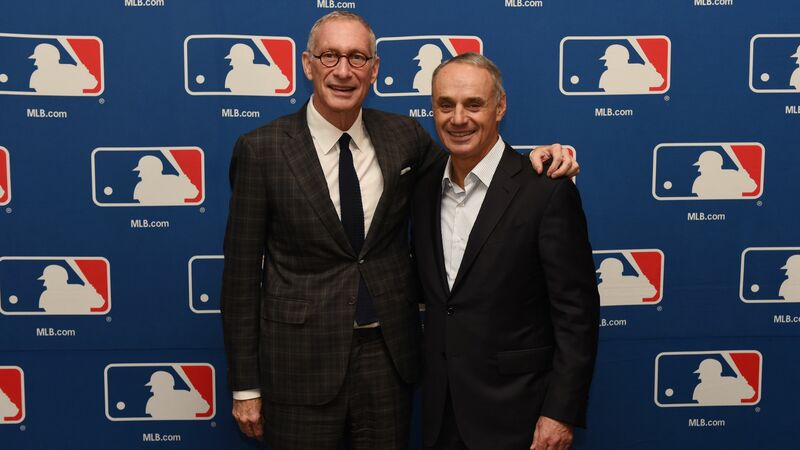 This MLB announcement aligns with DAZN’s promise to become a multisport offering after beginning its U.S. market entry within combat sports including more than 100 fight nights from Matchroom Boxing, Bellator MMA, and other international promotions.